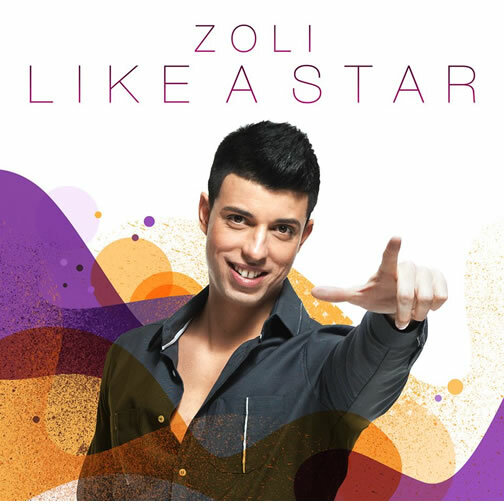 August 15, 2013, 10:13 am -- /EPR NETWORK/ -- Hungarian pop sensation ZOLI launched his latest single “Like a Star” this week on the shoulders of virtual fans across the globe. On Aug. 8, ZOLI concluded a Facebook contest where fans voted “Like a Star” to the first of three singles released – a unique, fan-focused approach that is paying off. ZOLI’s work is a soulful pop-fusion. A trained jazz singer, classical pianist, songwriter, and a pop idol in his native Hungary, ZOLI formed his own record label, Z Music Entertainment, in 2012 and works with an international team, including noted LA-based mixer Rudy Haeusermann (K$esha, Hanson, En Vogue and Tupac). “Admittedly the hardest part of this kind of development is trying to keep the personal connection in a virtual world,” ZOLI said. And while it is the reaction of live audience that inspires him, social media and the Web transcends borders and brings ZOLI’s work to the wider world with this latest release.